If the Los Angeles Kings were a TV show, they’d be “The Fresh Prince of Bel-Air.” That’s because the “Men In Black” have added another former Philadelphia Flyers forward, via the Columbus Blue Jackets. Looking to beef up their scoring output, L.A. has acquired Jeff Carter from Columbus, for defenceman Jack Jackson and a conditional first round draft pick. Who says you can’t move big contracts in today’s salary cap NHL? In just eight months, Carter and his decade long deal at just over $5 million per, has been moved twice. Hence, for all of their dealings, the Blue Jackets have sent away Carter, Jakub Voracek, Sean Couturier and prospect Nick Cousins for Jack Johnson and a late-first round pick. That draft choice is contingent of whether the Kings make the playoffs or not. 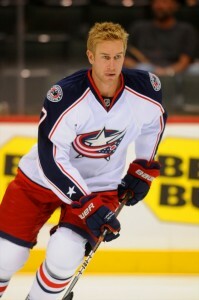 If the Kings miss this year, the Blue Jackets have the option of using it this year or in 2013. Johnson, already a -12 with eight goals, is going to have a heck of a time getting that rating turned around. From the Kings perspective, it’s another opportunity to jump start their offense and to get another ex-Flyers forward clicking. Already with Mike Richards, Simon Gagne and Justin Williams in the fold, the hope is that a change of scenery will aim toward that end. Although he has just 15 goals on the campaign, Carter proved he was ready to help anyone paying attention, with his hat-trick against the San Jose Sharks on Tuesday. Obviously the Kings were. Carter is a three-time 30-goal scorer, including a career-high 46 for the Flyers in 2008-09. Last year Carter netted 36 with Philadelphia. 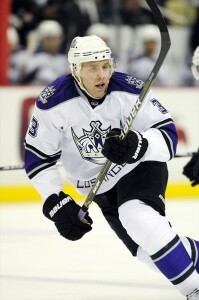 All-in-all a solid move for the Kings and their 30th ranked offense. It was a must move for L.A., especially given the frustration of Jonathan Quick in net They could’ve bet the farm on Rick Nash, but hope to get a rejuvenated Carter for a nominal asking price.